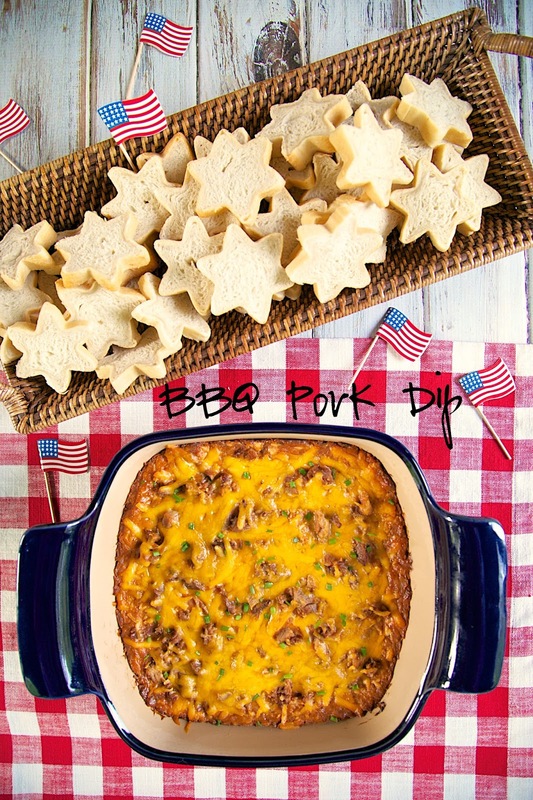 BBQ Pork Dip - THE BEST! I could make a meal out of this dip! Pork, cream cheese, Ranch, BBQ sauce, cheddar cheese and green onions. YUM! You can make this dip ahead of time and refrigerate until you are ready to bake. Perfect for bringing to a party! 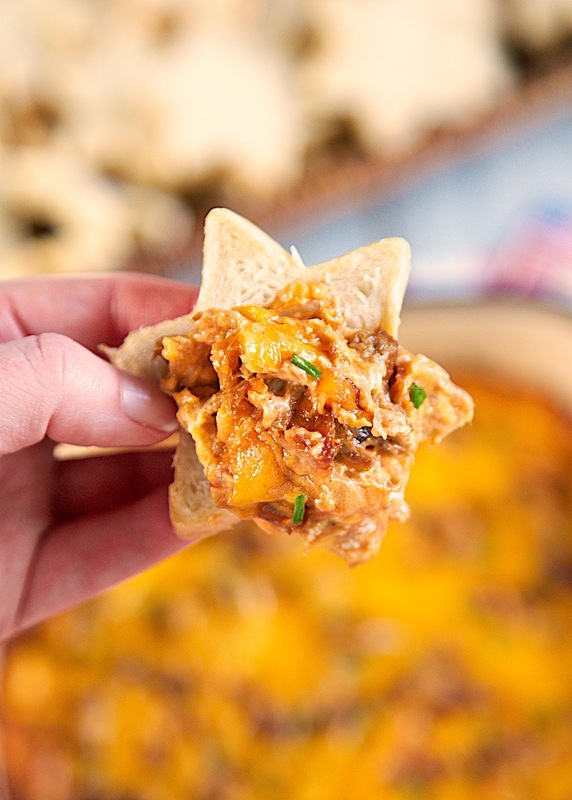 This BBQ Pork Dip is THE BEST! I could make a meal out of this dip! I used some of the leftover pork from yesterday's post and it tasted great! Pork, cream cheese, Ranch, BBQ sauce, cheddar cheese and green onions. YUM! You can make this dip ahead of time and refrigerate until you are ready to bake. Perfect for bringing to a party! I served the dip with some bread slices. I baked refrigerated french bread dough in a star shaped bread tube. Isn't it cute! I got the bread tubes on Amazon - you can buy them here. I had to cut an inch or so off the refrigerated dough to fit in the tube. I let it bake about 30 minutes, then sliced it into thin slices. If you don't want to serve the dip with bread, fritos and tortillas chips would be great too! In a mixing bowl combine pork, cream cheese, sour cream, ranch dressing, barbecue sauce, and 1 cup of cheddar cheese. Pour mixture into a lightly greased 8x8 baking dish. Top the dip with chopped green onion and remaining cheese. I am absolutely going to make this, maybe even as soon as tonight. Sounds delicious! Did you mean to juxtapose pork with a six pointed star?